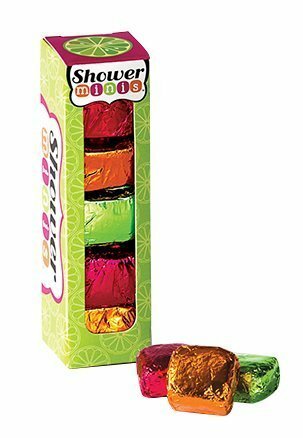 Fun fizzing fragrance in your shower! Each box contains 6 individually-wrapped single-use tablets. Unwrap a Shower Mini and place in your soap dish. Splash with some water and enjoy the fun fruity scent. 2 each of Luscious Lime, Wacky Watermelon and Tangy Tangerine!